All panels come with hardware needed to mount on roofs or racks. For best results follow the recommendations in our sizing chart. It is important to use this sizing chart to ensure your system will be large enough to heat your pool. 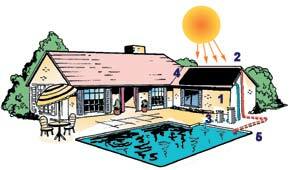 A properly sized system will raise pool temperatures 10-15 degrees during the season. For areas where the swimming season can be year round, an additional panel may be needed to heat your pool during the cooler months. 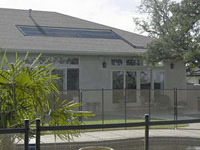 The panels can be mounted horizontally (20ft panels only) or vertically (10ft or 12 ft panels).